In North Wales we have very unpredictable weather. We never know whether it is going to be sunny or rain. We haven't really had a Summer yet, which is a shame. We are still waiting for the heatwave we were meant to have starting August. Hopefully it will come soon. I love working out and going for walks but I find it very difficult to stick it all year round. I hate walking in the rain. 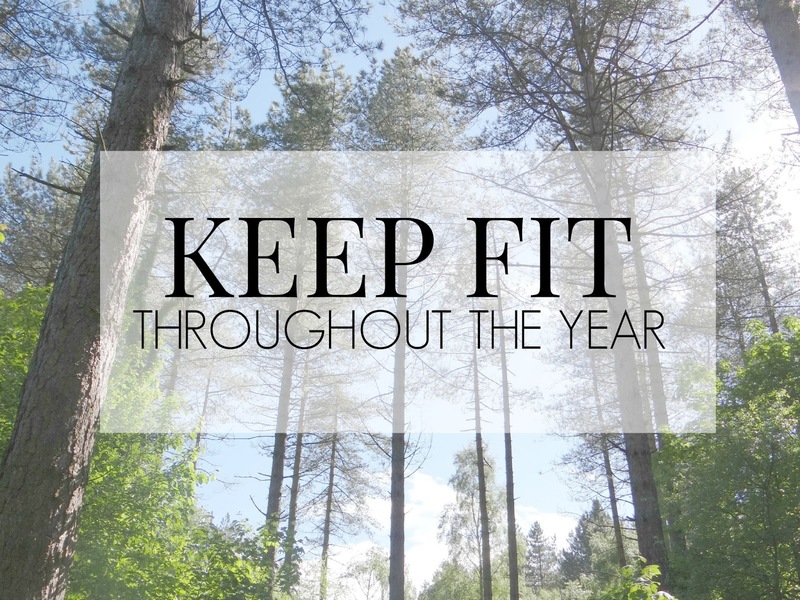 I just may not be determined enough to actually keep fit all year round outdoors, but there are so many other things I can keep fit indoors through the year. How can I still keep fit if I don't fancy going out in the rain/cold weather? There are many other ways you can keep fit from not going outdoors. Somehow the bad weather, even if it looks dull outside it stops me from wanting to go out to do any fitness such as walking. The Gym - You could visit your local gym and find out what kind of classes they do. Most gyms do many classes such as spinning classes. A great way to keep fit, loose calories and meet new people. Working out from home - You don't always have to do your running, cycling and walking outdoors. You could buy a treadmill or an exercise bike for the house. There are many other exercise equipment you could also buy. More work outs from home - You could follow DVD work outs or YouTube workouts. I enjoy doing these at home. The kids can copy you if they wish and it can be fun! You will feel good after it. How can I keep fit and be a parent too? If you are a parent to a young baby or toddler who is in a pram, I personally think you can keep fit outdoors and indoors. Some may ask, when? Raining outdoors - Stick a waterproof coat on yourself and stick on a rain cover on your baby/childs pram. You don't have to walk far. You could just walk to the shop and back, or just round where you live. Something is better than nothing. Nap times - If you are very determined then you could do work outs at home when your child is having their nap times. Do it together - Take the kids to the park, a local path or even in your back garden, you can play around with them by running, skipping, jumping and all sorts. There are different kinds of games you can play for the kids and yourself to keep fit and have fun at the same time. There are many things you can do outdoors to keep fit. One of my main goals in life is being able to have that confident to run outdoors. One day! When you are keeping fit outdoors you should try and make sure to wear the right clothing, sun or rain. Cycling - There are many cycling clothing in shops these days. You should also wear a helmet at all times, just in case. Another tip is to wear cycling glasses. My Dad is a cyclist and wearing cycling glasses really help. Stops the wind and bugs going into your eyes. He also says that cycling shorts are a bonus and a lot more comfortable too, especially if you go long distance. Walking - If you go for long walks, be sure not to wear many layers as you will end up sweating and getting hot. Bring a bottle of water with you to drink along the way and always wear the right footwear. Running - Very important to wear the correct footwear when you are out running. Especially if you go long distance. Maybe some glasses would also be good if you go out running, to keep the wind and bugs out of your eyes. It's very important to wear the correct footwear for each exercise I mentioned above. A bottle of water is important too. Legal and General insurance have also written an article on staying active whatever the weather. Does the weather stop you from keeping fit? Great list of suggestions! Now is a great time to start an outdoor exercise practice, when it gets colder you'll be in the habit and can deal with a bit of wind and rain.